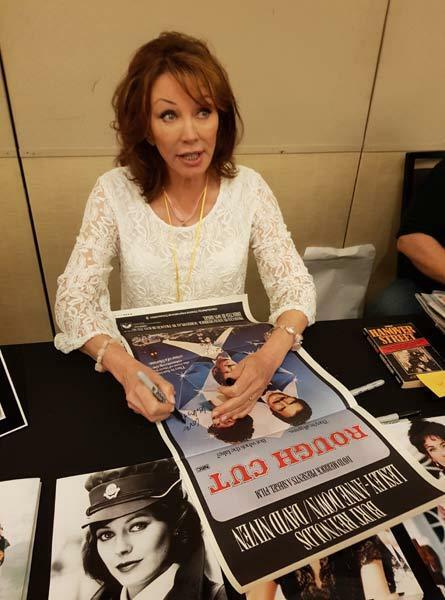 Lesley Anne Down signed a couple of daybills for me at the recent Hollywood Show. Although she signed a lot of 8 x 10 photos she didnt sign any other daybills so the ones I have a quite unique.Her acting career started in 1968 and she has worked steadily in Film and television since then. She is reported to have earned $400,000.00 for her starring role in Sphinx and $250,000.00 for seven days worrk on Dallas.